Does the Transformers juggernaut have any juice left in the tank? 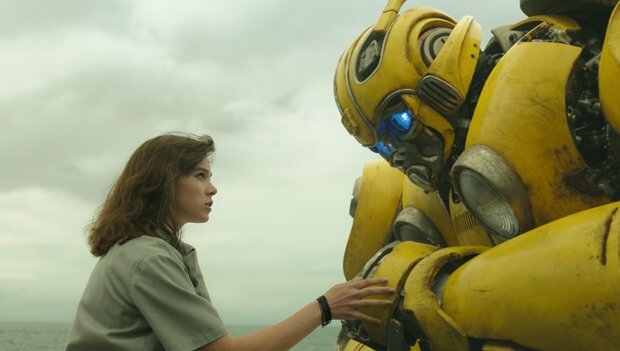 If the answer would have been a firmly exasperated 'no' following director Michael Bay's The Last Knight in 2017, Bumblebee offers a much-needed course-corrective. Shorter, sharper and sweeter than Bay's boorish bash-'em-ups, director Travis Knight's prequel / reboot gives the series the fuel injection of charm and fun it needs. To fix Bay's muddled mythologizing, Knight (Kubo and the Two Strings) and screenwriter Christina Hodson shape 'Bee's origin story as a largely family-friendly coming-of-ager. In California, 1987, teenager Charlie (a winning Hailee Steinfeld) divides her time between fixing cars, grieving for her late father and bickering with her family until she chances on a broken-down VW Beetle. She takes the car home and discovers it's really lovable Autobot B-127, laying low on Earth after conflict on its home planet Cybertron. Smitten, she nicknames him 'Bumblebee'. With the robo-war backstory humming away in the rear-view, Bumblebee focuses largely on the restorative bond between the cutely puppy-ish 'Bee and the capable Charlie, who couldn't be further removed from Bay's fetishised female leads if she came from Cybertron herself. (Notably, she's in control when Jorge Lendeborg Jr's endearing geek-next-door Memo gets a crush on her.) Even if the nods to ET here are obvious, Knight draws a full tank of heart and humour from such influences, adding an on-point soundtrack of alternative 1980s hits as a buoyant bonus. Likewise, the action benefits from fresh doses of levity and clarity. John Cena's mock-macho performance as Agent Burns is nicely dry. Meanwhile, when two sadistic Decepticons track down Bumblebee, Knight enlivens the inevitable metal-on-metal ruckus by keeping the conflict, human stakes and comic punchlines in well-balanced focus. Even if it is still CG robots lamping one another, at least the melee is handled with wit and precision. After Knight's salvage job, the franchise looks suddenly, surprisingly roadworthy again. General release from Wed 26 Dec. In 80s California, Charlie (Steinfeld) is a grieving teenage auto mechanic who finds a broken-down VW Beetle which turns out to be Autobot B-127. Knight’s Transformers prequel injects much needed charm and fun into the franchise, with a nice bond between Bee and Charlie, and even the robot fights have wit and precision.